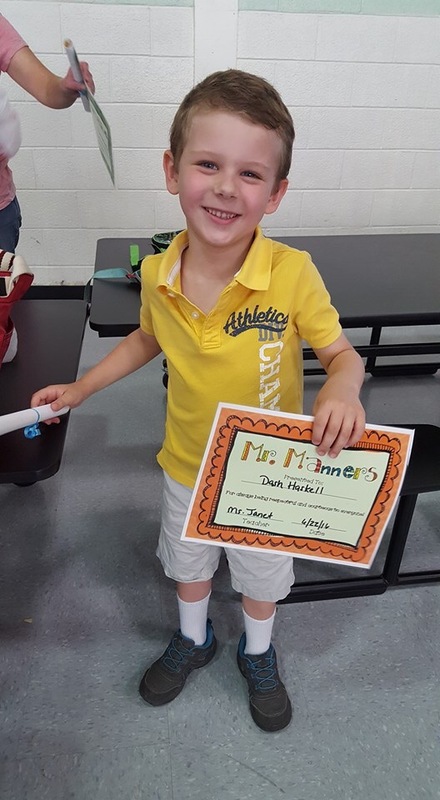 The Mr Manners Award at the Loella F. Dewing School preschool program goes to 5 year old Dash Haskell. Parents Lisa & Scott Haskell couldn’t be more proud. Dash was a student of Ms Janet and is now off to kindergarten in September. Music Fills the Air in Newton all Summer Long!